Naturally combat stress or negative feelings. 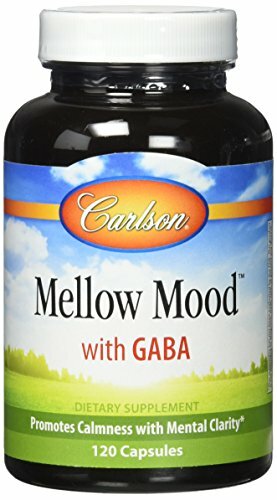 Mellow Mood is a multi-nutrient formula that contains B vitamins, GABA, and L-thiamine to promote a better frame of mind and a relaxed state of being, which can be important to both mental and physical health. Life can be full of stress, but you don't have to be. Make Mellow Mood part of your daily routine. Carlson Laboratories Potency and quality guaranteed. Carlson Laboratories Mellow Mood Promotes calmness. Carlson Laboratories Mellow Mood Promotes mental clarity. If you have any questions about this product by Carlson, contact us by completing and submitting the form below. If you are looking for a specif part number, please include it with your message. © 2019 - mentalhealthtn.org. All Rights Reserved.